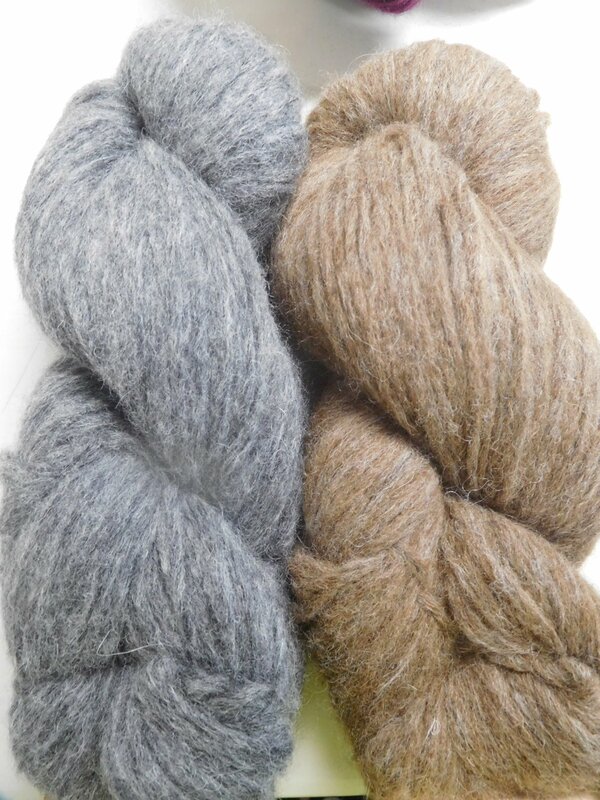 This lovely 70% alpaca, 7% merino and 26% nylon ( a binder is needed for this type of yarn construction) is so soft and airy you will love it for cozy, warm and lightweight accessories and garments that knit at a bulky gauge! That's right, it is recommended knit at 3.5 sts/inch on US 9. 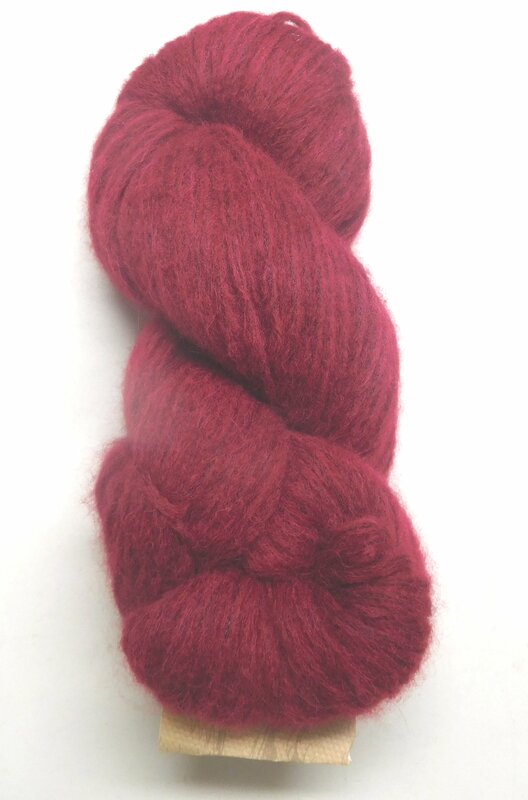 But because of the way it is constructed, you get a whopping 283 yards in a skein. 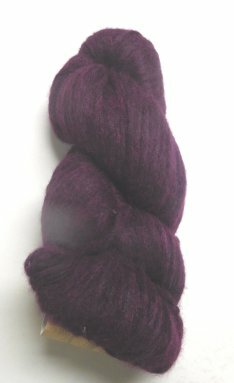 At just $19.50 per skein, that's a bargain for a luxury yarn. 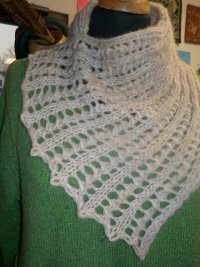 It took just 1/2 skein to knit the cowl below (pattern from ravelry), so you could either knit 2 of this cowl or one cowl and a hat with just 1 skein. 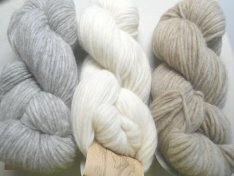 A cozy sweater would be lovely in this yarn - and a bargain for a luxury yarn since it would take only 4 skeins! If you're looking for a handpainted baby alpaca at a similar gauge, check out Misti Handpaints.